This weekend, the clocks go back and we potentially gain an extra hour of sleep. I say “potentially” because for many it will make no difference. Poor quantity and quality of sleep is something which affects us in many more ways than most of us recognise. In one clinical study, looking at fragmentation of sleep and sleep deprivation, there was an effect on memorising new information, short term memory, psychomotor skills, reaction times and vigilance. Most of us will recognise the common signs and symptoms – tiredness, irritability, forgetfulness and altered emotional states but we often fail to realise that poor sleep may lead to stress which is well known to have a negative effect on our wellbeing. Stress can affect not only our mental state but our physical state too, resulting in poor digestion, headaches, skin issues, aches and pains and a lowered immune response. If these issues are causing you problems, please do not dismiss them. Take action. 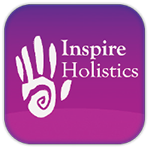 Many clients find that regular Reiki treatments helps to improve and maintain their feeling of wellbeing. Reiki is a natural healing system which works on every level : physical, emotional and mental. It was developed in Japan in the early 20th Century by Mikao Usui. The word Reiki can be loosely translated as Universal Life Energy. It is safe and gentle. Reiki does not take the place of conventional medical treatment but can work alongside it to complement it. A full treatment will take about an hour. It will usually take place whilst you are lying down comfortably. You will be fully clothed. The practitioner places her hands on your face, head and body in a sequence of non-intrusive, traditional positions. No massage takes place. You may experience sensations of warmth, coolness, mild tingling or nothing at all. Most people feel a deep sense of calm, relaxation and well-being, or may feel energised depending on the individual’s needs. Many report improved sleep.